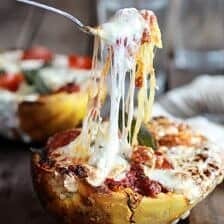 So I have just been pretty blown away by all the amazing recipes other bloggers have posted lately. 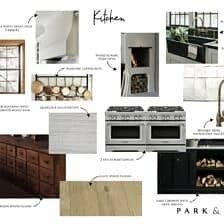 Since I can not contain my excitement any longer I thought I would share a few of my favorite links from around the web + some Fathers Day eats. 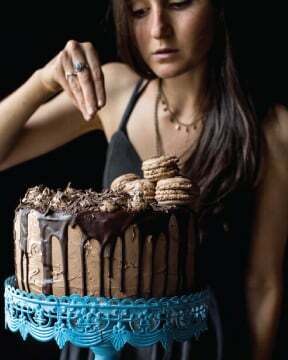 Milk Chocolate Coconut Brownies: Milk chocolate and coconut!! My favorite. SPICY STEAK TACOS WITH A GRILLED TOMATO AND CHARD SALSA: Summer tacos! summer crostini with whipped roasted garlic goat cheese: Summer toast + whipped garlic goat cheese! Yes! German Chocolate Brownies in a Jar: So cute and perfect for summer BBQ’s and Picnics. Sweet Potato + Spinach Frittata: Gosh, breakfast food is just so good! Caprese Garlic Bread: Simple summer flavors at their best! Homemade Strawberry Milk: What’s not to love? 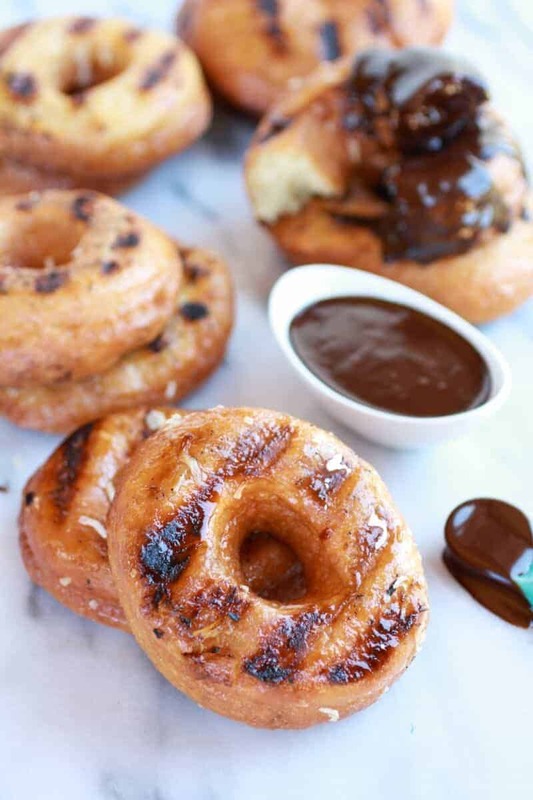 Peanut Butter Bourbon Filled Doughnuts: I mean really? There are no words for these. Mini Buckwheat Bacon Pancakes with Bourbon Syrup: Again no words except – awesome. Chocolate Buttermilk Pancakes with Homemade Caramel Sauce: These look incredible. Blueberry Sweet Rolls With Lemon Glaze: So pretty! 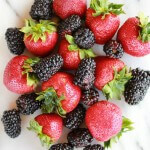 Firecracker Berry Frozen Yogurt Pops: Perfect for the 4th of July! 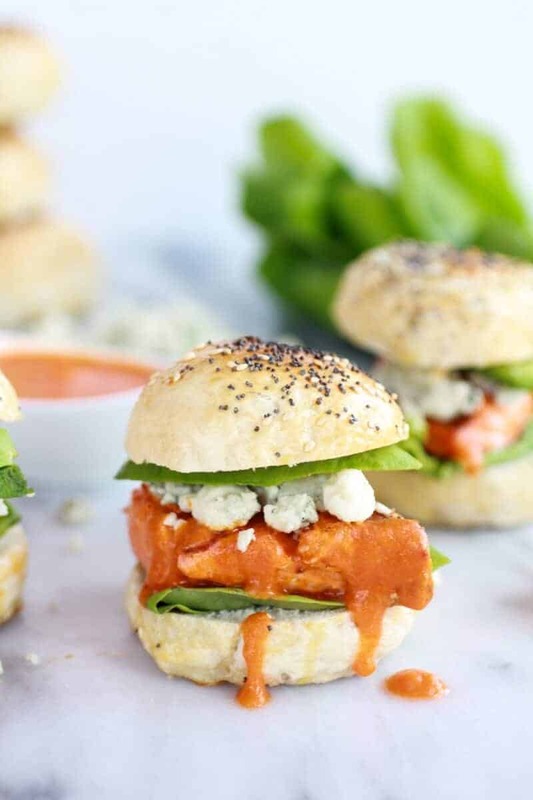 Sweet Potato Veggie Burgers: These sound pretty awesome! Chocolate Coconut Bars: Again, coconut and chocolate! Almond Cupcakes with Caramel Frosting: Sounds like an awesome combo! Whoa! I told you I had a lot! 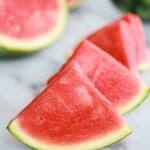 Alright, here are some of my own last minute Fathers Day Ideas for tomorrow! 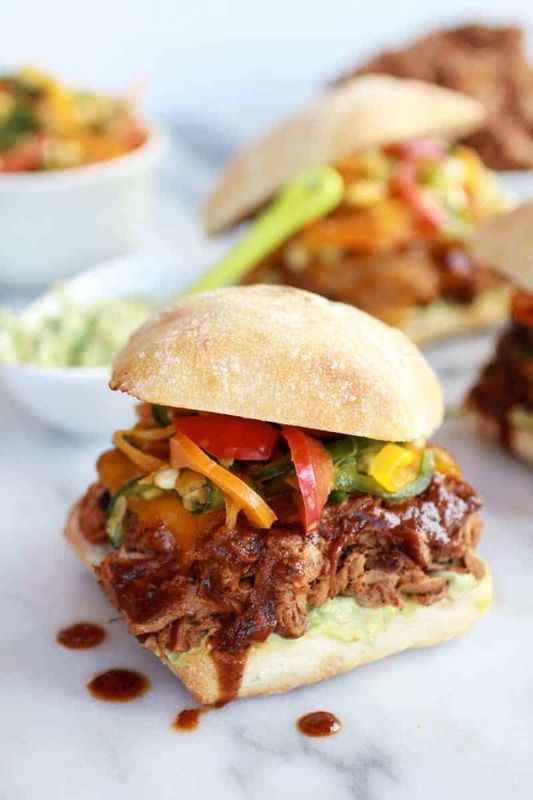 Cheesy Crockpot Cajun Pulled Pork with Pepper-Corn Slaw. BBQ Grilled Corn, Jalapeno + Peach Quinoa Salad. 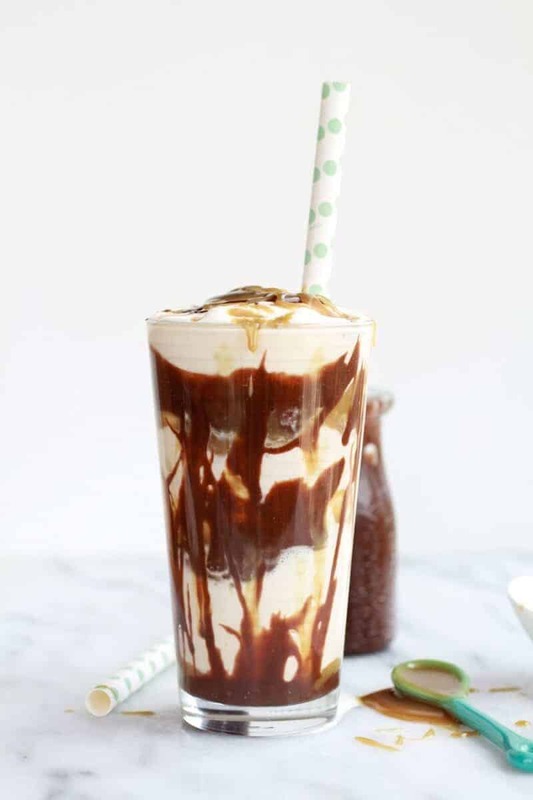 Butterscotch Milkshakes with Chocolate Peanut Butter Hot Fudge. 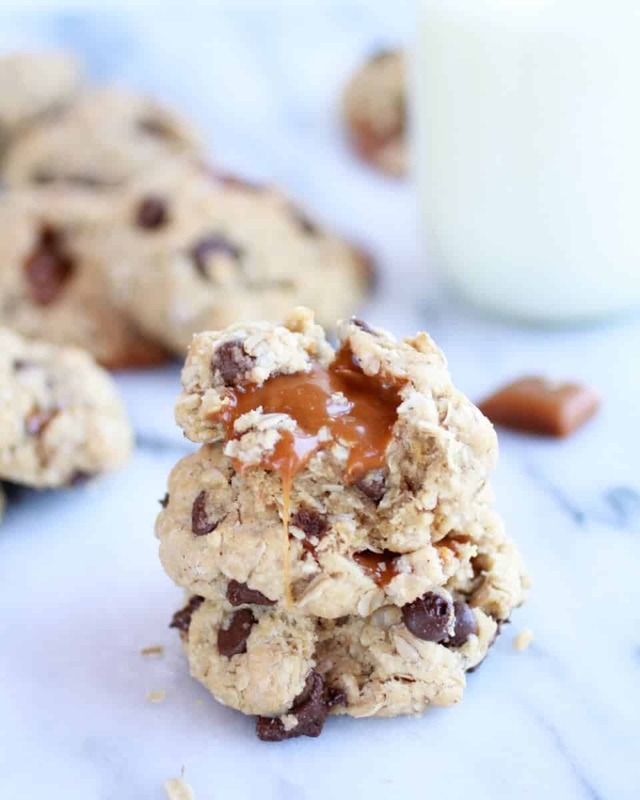 Burnt Peanut Butter Caramel Oatmeal Chocolate Chip Cookies. 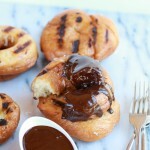 Grilled Espresso Glazed Coconut Doughnuts with Mocha Ganache. 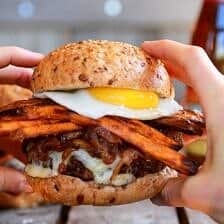 Pretty sure any Dad would love all this, but if you are looking for more check out my recipe page! Wow, thanks Mary! Your comments are always the nicest! 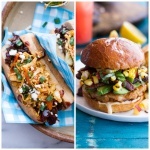 And I wouldn’t mind eating any of these!!! Thanks for linking my Chocolate Buttermilk Pancakes with Homemade Caramel Sauce. I wish I could make a plate for you – and that you could make me those donuts or the cookies or the milkshake! 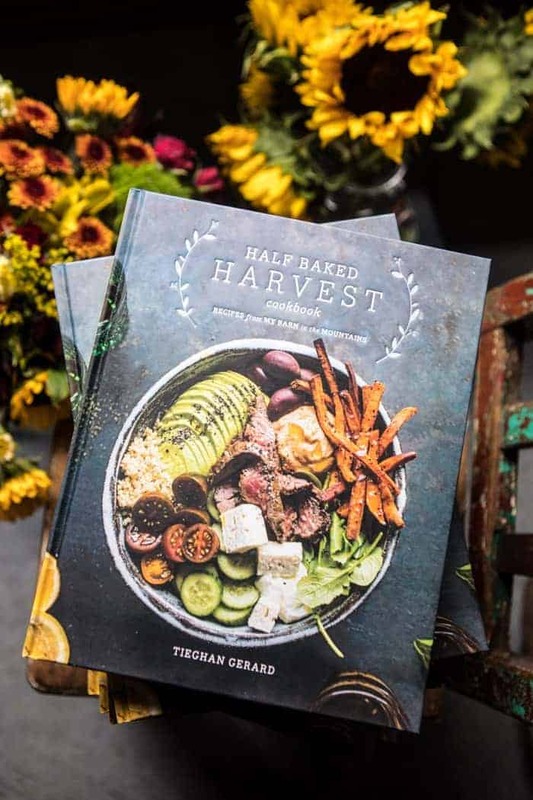 I love your food and recipes, Tieghan! Of course, Averie!! 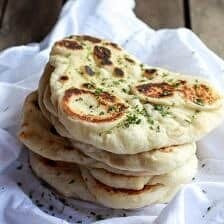 I honestly wanted to link all your recipes! They all make me hungry for dessert or that avocado bread you posted this week! So gooD! Nice round up, thanks for sharing! My husband saw the Caramel Chocolate….. Milkshake and said boy that looks good. He loves his chocolate. I am sure he would be drooling if he looked at your blog everyday like I do. Hahahaha!!! Haha! Thank you, Charlotte! Hope you guys give the milkshakes a try, they are crazy good! I know!! Such good links! Thank you, Nessa! awwww!!! Thanks for linking to me!